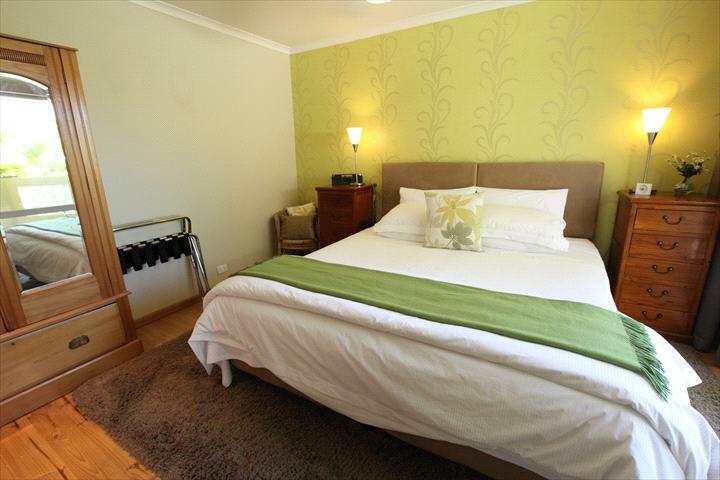 Our three Adelaide Hills Getaway venues in Hahndorf offer you the opportunity to relax amongst the trees in supreme comfort. Each venue has been designed to suit a different number of guests and different Adelaide Hills Getaway experiences. Amble Over elevates you up into the trees, so you can sip your morning coffee with the birds. Amble Fern and Amble Wren with their private patios offer the time out to relax and breathe the fresh air. All of our Amble Hahndorf venues are a short walk (150 metres) from the Main Street of Hahndorf, where you can lose time wandering through the shops and galleries or while away the day in high quality cafes, bakeries and restaurants. The Adelaide Hills is renowned for quality food and wine experiences and Hahndorf is no exception. For those who wish to venture further afield on a Adelaide Hills Getaway, Amble offers an ideal base for day trips throughout the Adelaide Hills, or to the Barossa Valley and McLaren Vale wine districts. . The village is famous for its cafes and restaurants serving German foods and cakes, its many different shops and Art Galleries as well as, of course, its strong historical character. Our own “Adelaide Hills” wineries and food outlets are becoming very famous as well as the peaceful tree lined local villages. 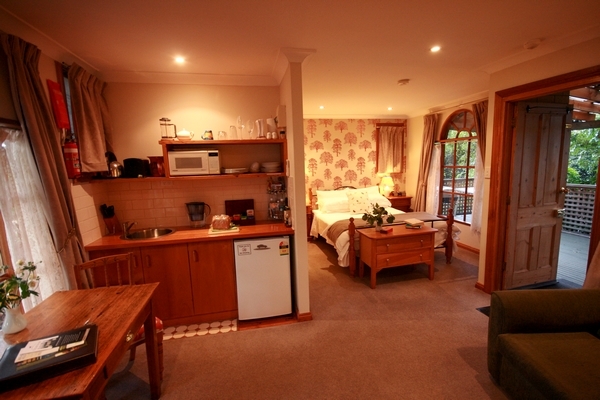 Set in lovely gardens, "Amble Fern Studio" offers tranquillity, romance and seclusion. Amble Over is a stylish, upstairs Apartment for a couple. Experience the serenity of either the rural or garden views from either of your balconies. Your spacious bathroom includes a luxurious spa and gives a sweeping view over the rear paddocks. The front balcony provides a wonderful view over the gorgeous English style garden. This apartment has been tagged with a quirky, �tongue in cheek� name. With two well established accommodation choices, we saw the opportunity to offer another, with the unique advantage of elevation. The name could simply imply �relaxed�, or �above all else�, but ideally we see it as �relaxed sophistication�. The views offer something special. Amble Over has an open plan lounge / dining area, it is extremely comfortable and very spacious. bacon; fresh tomato and eggs; baked beans. 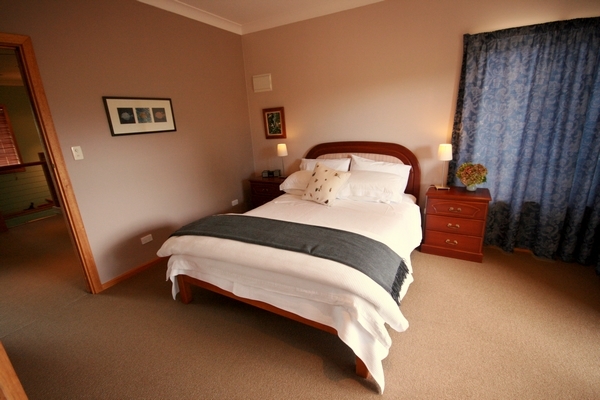 AVAILABLE ON REQUEST WHEN BOOKING ($25 per night): Alternative Dietary Requirements can be supplied for an extra cost. Minimum Stay is Two Nights, standard bed configuration is a King Bed unless stipulated. If bedding configuration is to be changed, there is an extra charge of $100, please select this option when booking. Cot and Bedding available for an Infant. Please Note: This venue is NOT Pet Friendly. Amble Wren is an intimate self-contained cottage, perfect for a couple. Relax in your private spa while you look out over the countryside. Sit on your private deck and enjoy the expansive gardens which offer home to so many native birds. Privacy and peace are yours for the taking. Amble Wren is fully air-conditioned keeping you cosy in winter and cool in summer. The covered deck offers a wonderful view where you can take it all in before you stroll down the street for dinner. Or if you feel like staying in, you can unwind and prepare a relaxed meal on the gas barbeque. All this only a short stroll from a main street offering exquisite local produce and art galleries. Through Amble you can plan or discover food, wine and art experiences to nourish the body and feed the soul. Minimum Stay is Two Nights, standard bed configuration is King Bed. Amble Fern is a contemporary styled Studio. Take a moment to yourself on the private patio or unwind in the spa. The peace and tranquillity are yours to enjoy along with the native birds who often stop to drink from the water fountain. Large windows invite the leafy tranquil garden indoors, and the morning sun gently illuminates the sophisticated space this Studio has to offer. The private courtyard offers a gas barbeque with a quiet restful haven to relax and enjoy time alone or with friends. Amble Fern offers great flexibility. The main king bed can be split into singles and has separate rooms for the shower/spa and toilet/vanity which make it suitable for couples or groups of singles. Cancellation notified 30 days or more prior to arrival date will be entitled to a refund of the deposit / money paid. Cancellations notified 30 days or less prior to arrival date will forfeit the full amount of the booking. When a booking has been made 30 days or less prior to arrival date and cancelled the amount of the booking will be forfeited. DAMAGES / SMOKING / CLEANING POLICY All bookings are subject to an accidental / willful damage policy a no smoking policy and an excess cleaning policy. Where the individual services confront interruption to business or unreasonable delay and expense in business operations the responsible guest will be charged accordingly. Travel insurance is recommended for all bookings to provide adequate protection against cancellation of travel. ON CHECKIN YOU WILL BE REQUIRED TO GIVE CREDIT CARD DETAILS AS SECURITY TO THE OPERATOR.